Just up the road and across Lake Washington, a few important figures from the Seahawks coaching staff stood attentively inside the Dempsey Indoor Center watching the (now former) Huskies show their physical prowess and agility. April 1 marked NFL football Pro Day for the University of Washington and there was quite the crowd present to take a look at the potential professional prospects. Seahawks head coach Pete Carroll and John Schneider were in attendance watching the young athletes show their skills. 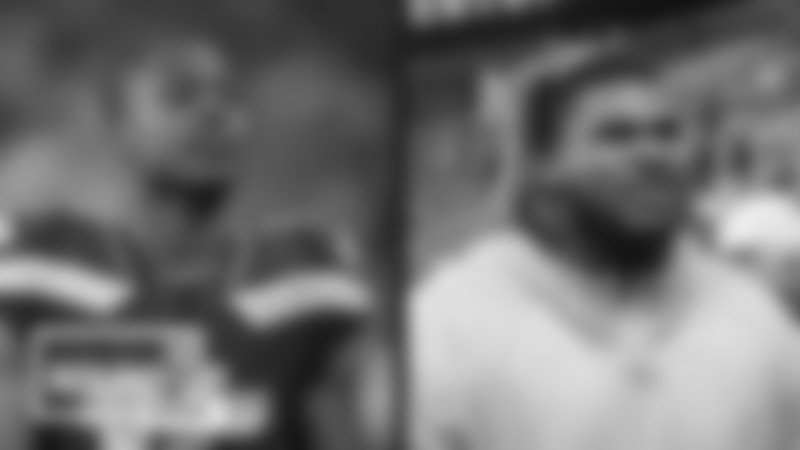 Both offensive and defensive coordinators Brian Schottenheimer and Ken Norton Jr., respectively, as well as offensive line coach Mike Solari, joined Carroll and Schneider. Football experts and local media note a few names to keep an eye on once the draft comes around, including former Husky quarterback Jake Browning, running back Myles Gaskin, defensive linemen Greg Gaines, offensive lineman Kaley McGary, and defensive backs Byron Murphy and Taylor Rapp. Reports say that Rapp and Murphy are both likely to go in the late-first to early-second round of this year’s NFL draft. A recent mock draft published by NFL.com draft analyst Chad Reuter has the Seahawks drafting Murphy as their first-round pick at No. 21 overall. In addition to scouts and coaches, there were some current NFL players in attendance visiting their alma matter to watch their former teammates workout. 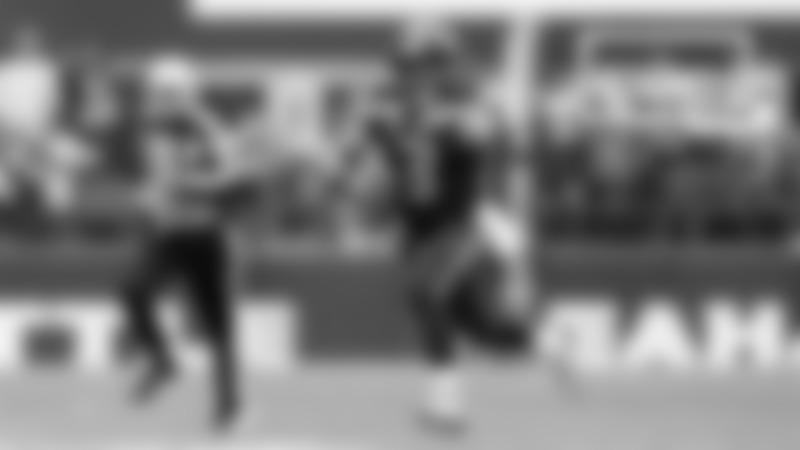 The extensive list of UW grads included San Francisco 49ers WR Dante Pettis, Cincinnati Bengals WR John Ross, Green Bay Packers cornerback Kevin King, and Seahawks tight end Will Dissly. NFL Pro Day workouts are soon coming to a close with only a handful of schools remaining on the current list published on NFL.com. Washington State University holds their pro day on Wednesday, April 3, at 1 p.m. and Eastern Washington on April 4 at 1 p.m.
Today’s ‘Social Post of the Day’ comes from the official Twitter account of CenturyLink Field, as they light up the arch lights blue to support Autism Awareness Month. The Seahawks announced their dates for their 2019 offseason workout program. Seahawks.com’s Tony Drovetto writes about general manager John Schneider and his wife Traci discussing autism awareness on 710 ESPN Seattle’s ‘Brock and Salk’ show. Drovetto also lists out five things to learn from Schneider on the second-half of the show relating to football. Bob Condotta at The Seattle Times and Kevin Patra at NFL.com both dive into John Schneider’s strategy throughout NFL free agency. Michael Dugar at The Athletic expands on Seahawks quarterback Russell Wilson’s time in Minor League Baseball. Brady Henderson from ESPN.com shares his opinion on Seahawks wide receiver Doug Baldwin and the Seahawks wide receiver position group. 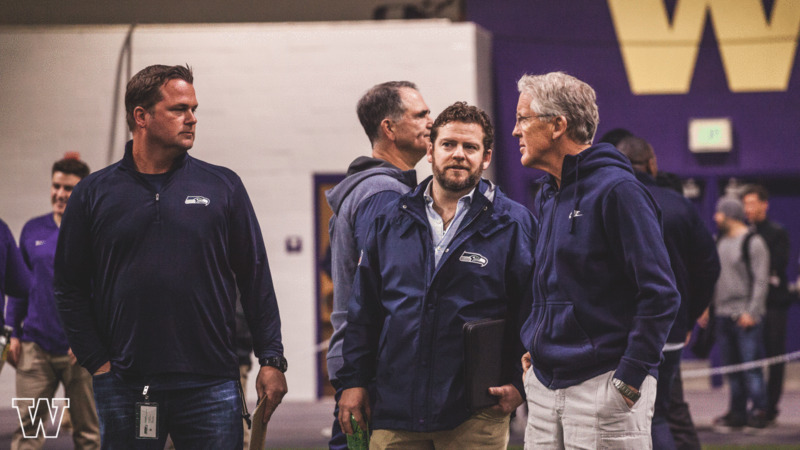 NFL Draft hopefuls from the University of Washington put on their best performances for NFL scouts and coaches, which included Seahawks Pete Carroll, John Schneider and other members of the coaching staff at the 2019 Husky Pro Day.